Prominent British medical journal, The Lancet has officially retracted a study connecting the measles, mumps and rubella immunization with autism and bowel disease. The flawed study, authored by British surgeon and medical researcher Andrew Wakefield and 12 colleagues, was published in The Lancet in 1998. Ten of the 13 co-authors have long since renounced the study’s findings and The Lancet itself has admitted, in the past, that the research should not have been published. On January 28th, Britain’s General Medical Council ruled that Wakefield had shown “callous disregard” for the subjects in the study and that he had acted unethically. Wakefield and the two co-authors, who stand behind the conclusions of the research, could be stripped of their right to practice medicine. It has been revealed that Wakefield took blood samples from children at his son’s birthday party. He compensated the children £ 5 each and he reportedly joked about the incident after the fact. Ellen Pompeo Shows Off The First Photo Of Stella Luna! 3. The 10 who “renounced the study” did not. In their infamous “retraction of an interpretation” they clearly stand behind the study and it’s findings. They claim that others have supported and extended their findings and welcome further research along these lines. What they retract is an interpretation that their findings support a causal relationship between MMR vaccine and autism. But the original paper also clearly states no causal association between MMR and autism was found. No association between MMR and the studied enterocolitis was proved. 4. The comment that The Lancet admitted the research should have never been published came from the editor Richard Horton in 2004. Up until that point Horton had been a staunch defender of the study, as had the other editors at The Lancet. Horton’s boss Crispin Davis (now a new board member of Glaxo Smith Kline) may have had something to do with Horton’s new tune. Horton used the known fraudulent stories about Legal Aid Board funding creating a conflict of interest, written by Brian Deer of The Sunday Times, as an excuse for making the statement the study should never have been published. 7. Finally Jen R says “subsequent research has not been able to prove any connection between the vaccine and autism”. I refer her to a few lines below to read what Dr Bernadine Healy has to say about that “research”. Big Pharma money buys the research results it wants. that is the type of research results Jen R is reporting about. Clinical research studying kids using a toxin-free vaccine schedule are needed to find the truth about vaccines and autism and other damage vaccines have been causing to kids. In the USA over 2400 kids have been awarded over $2 billion by Vaccine Court alone. 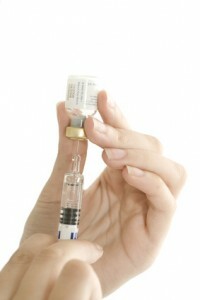 Damages awarded through appeals after vaccine court denials are not known. Vioxx was known to kill people with strokes and heart attacks as early as 1996, 3 years before it was released. Merck executives and scientists lied to the FDA and the New England Journal of Medicine to get it approved and peer reviewed. Elsevier is a well known international peer review publisher. Merck paid Elsevier to publish a FAKE peer review journal in which Merck published “papers” supporting it’s drugs link Fosamax and Vioxx. Elsevier published fake journals for 8 other Big Pharmas, and had 13 others being prepared for publication. When this was exposed in Australian Vioxx lawsuits, Elsevier stopped publication and apologized. How do we know these liars won’t do it again or aren’t doing it still? Because they promised? As early as 2000 Eric Topol and Steven Nissen of the Cleveland Clinic showed Vioxx was killing people, but the FDA ignored their study while Merck sent Alise Reicin to Cleveland. She tried to rewrite their study and threatened them professionally when they refused. Six other scientists were similarly treated when telling the truth about Vioxx. Nissen and Topol published their peer reveiwed study in JAMA. In that study they used the same data Merck had given to the FDA, which the FDA never checked. when Merck submitted their study to The New England Journal of Medicine they falsified the data because they knew the NEJM editors would check it. Gardasil was developed approved and marketed by Merck while they were killing/injuring 60,000/120,000 people with Vioxx. They bribed public officials, political organizations, reporters, doctors and scientists to get it approved, favorably publicized and mandated. They lied about HPV causing cervical cancer (that’s another LONG heinous story) and paid to get the results they wanted. Merck makes 12 vaccines for our kids. Do we simply trust the people who have proved themselves to be greedy sociopaths capable of lying/deceiving/bribing public officials/doctors/scientists & killing tens of thousands for money? No… we have to insist laws are passed to ensure that collusion between regulated corporations and the regulators are punished with criminal statutes. That scientists & researchers who collude to defraud people of life liberty or the pursuit of happiness or just to take their money are properly punished.